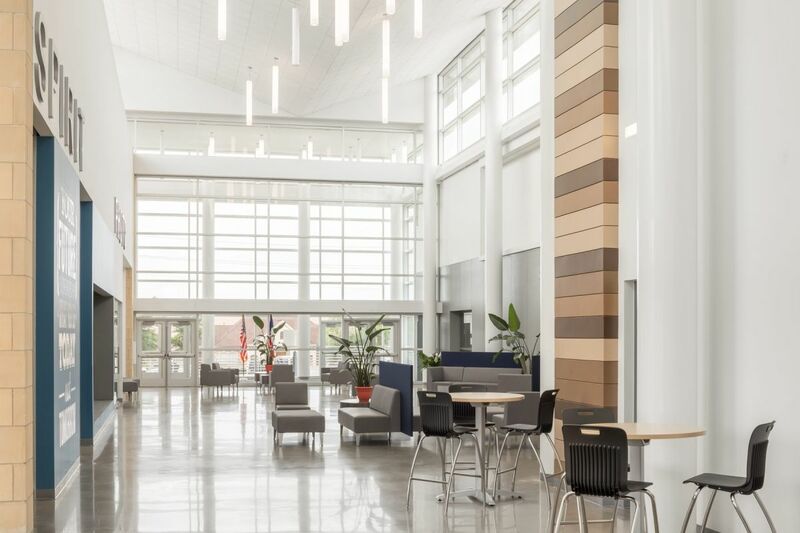 Keller ISD turns to Virco PlanSCAPE to furnish the district’s first Career and Technical Education School. 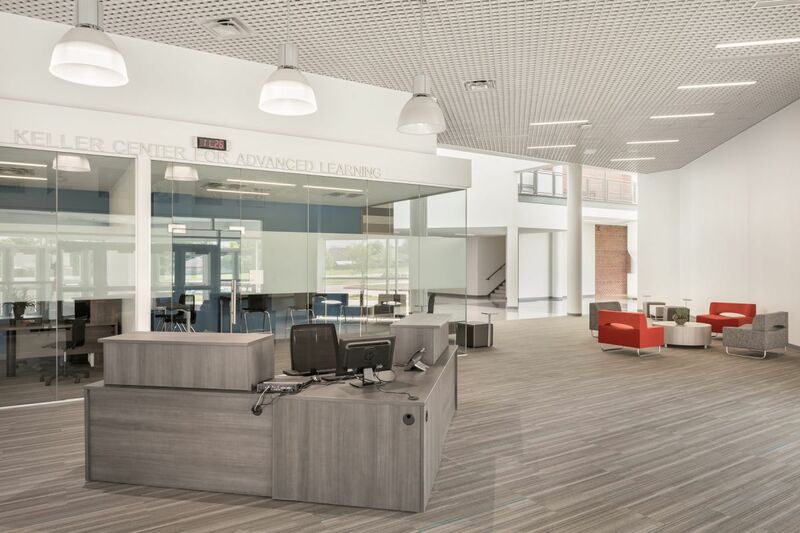 At the Keller Center for Advanced Learning (KCAL), it’s all about choice. 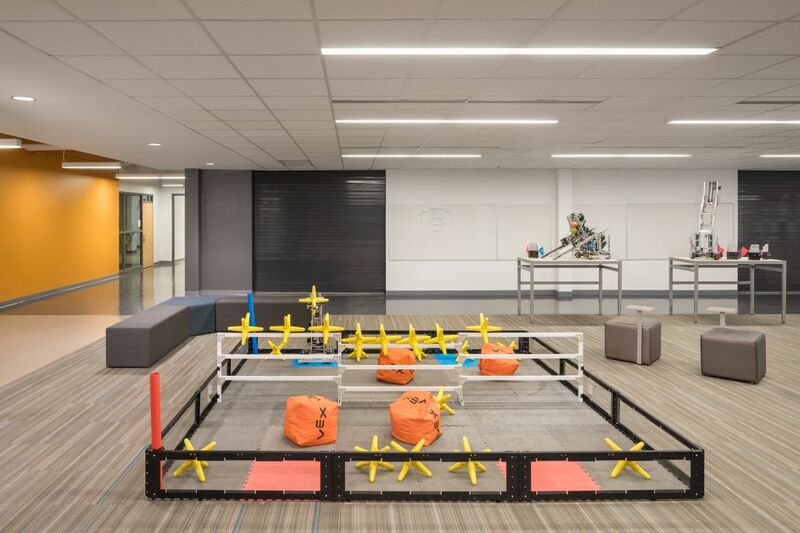 The first school of its kind for the district, KCAL encourages high school students to discover their interests and gives them the opportunity to pursue specific fields of study through creative and collaborative project-based learning. 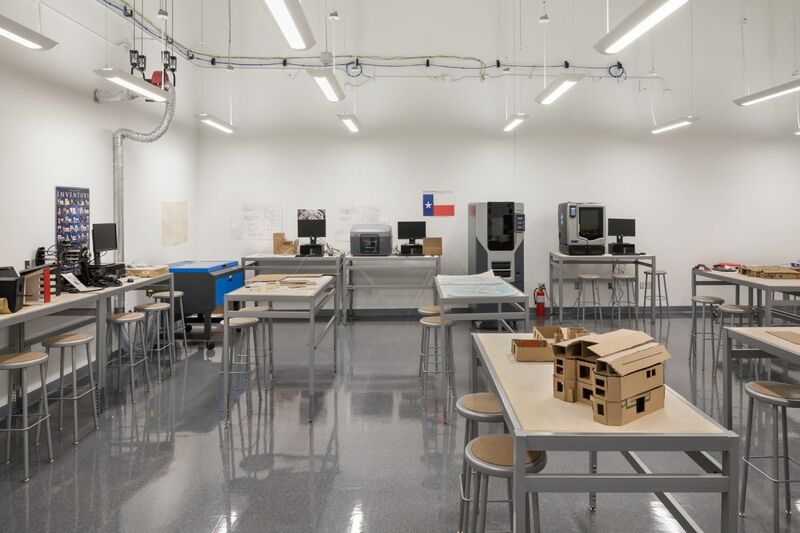 The school’s mission is to create focused pathways to higher learning and future careers. KCAL’s classroom needs were as specialized as its programs. 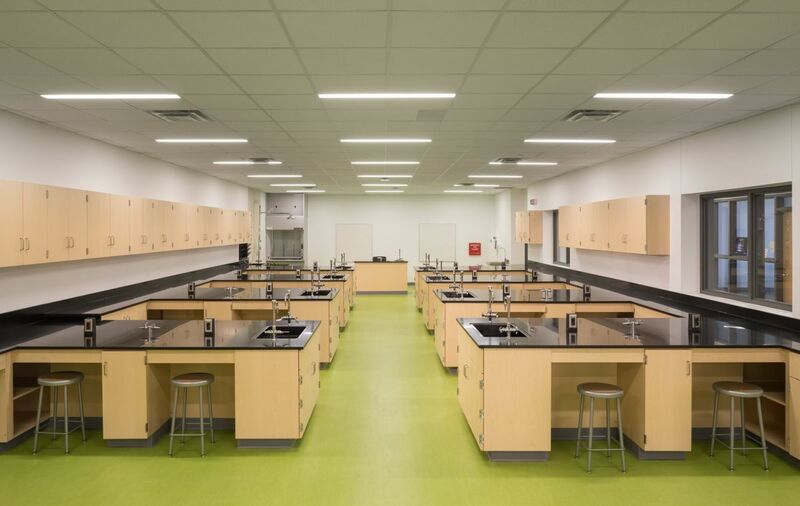 Virco PlanSCAPE successfully supported the school’s mission by creating functional yet flexible spaces to meet the needs of each learning environment within the school. 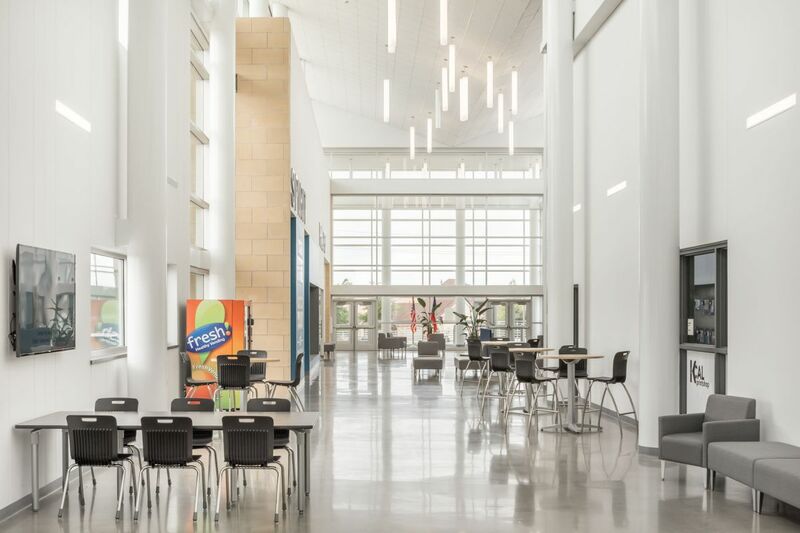 With programs in Architecture, Veterinary Sciences, Commercial Photography, Automotive Technology, Cosmetology and more, KCAL’s range of educational offerings presented a unique opportunity in terms of design and function. 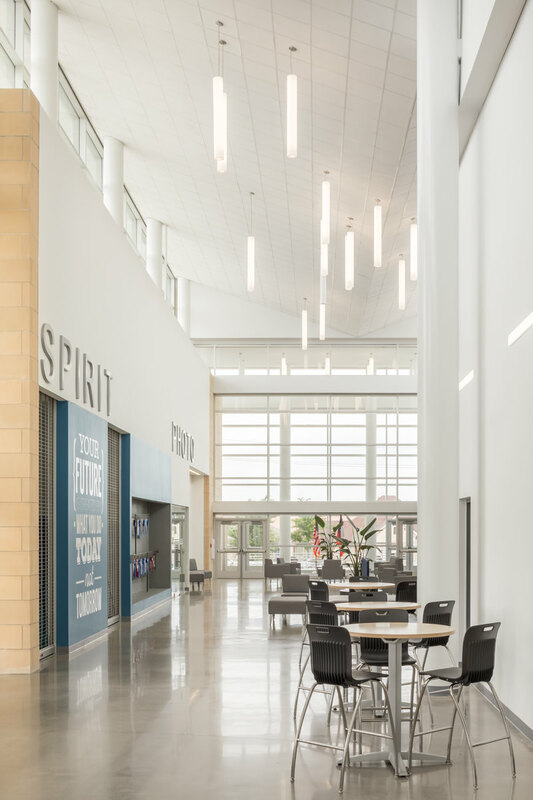 Construction delays and budget adjustments also required flexibility and frequent communication and contact throughout the project. 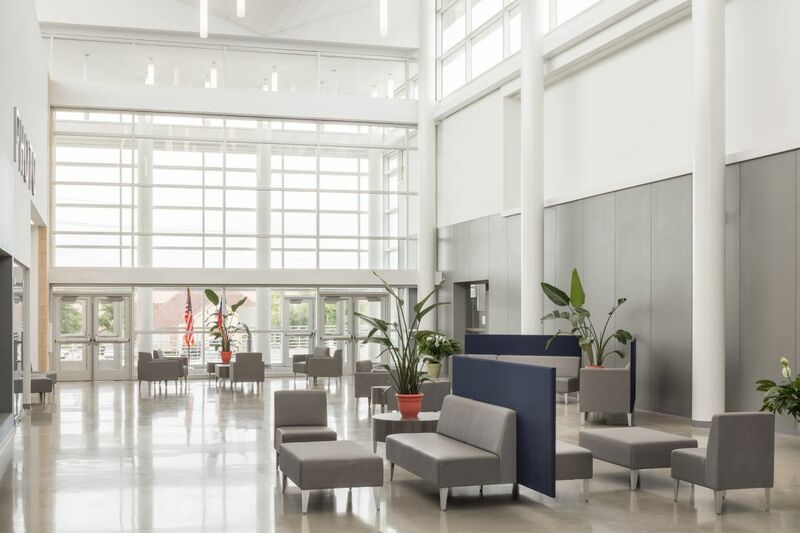 Virco PlanSCAPE professionals understood the fluidity such a project requires and were able to work with KCAL’s timetable – bringing everything together while smoothing out the FF&E process. 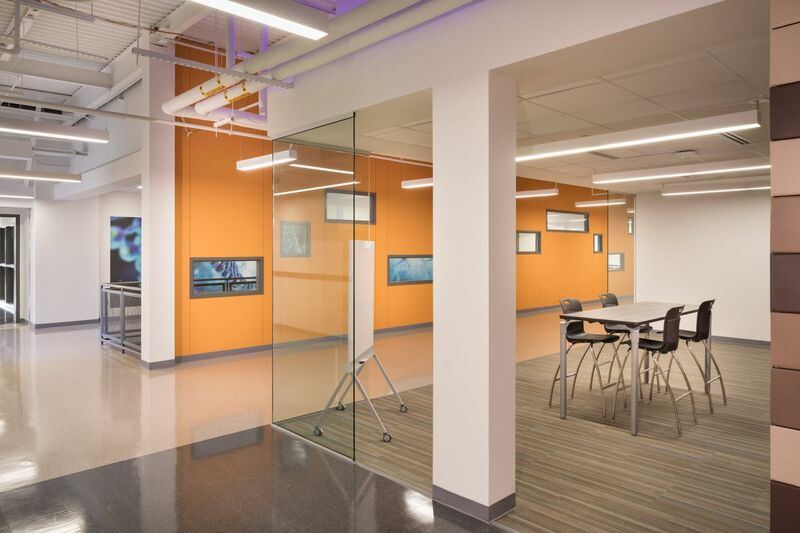 While Virco’s PlanSCAPE team helped KCAL make the right decisions to creatively define each unique space through color, form and function, there was one special space where its expertise was needed the most. 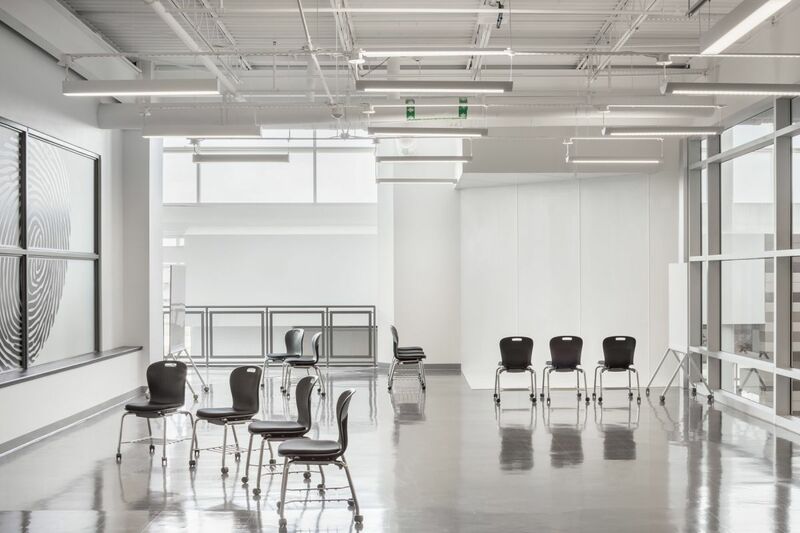 With a space the size of five classrooms, KCAL officials sought help in determining how to best utilize this large, undefined area. 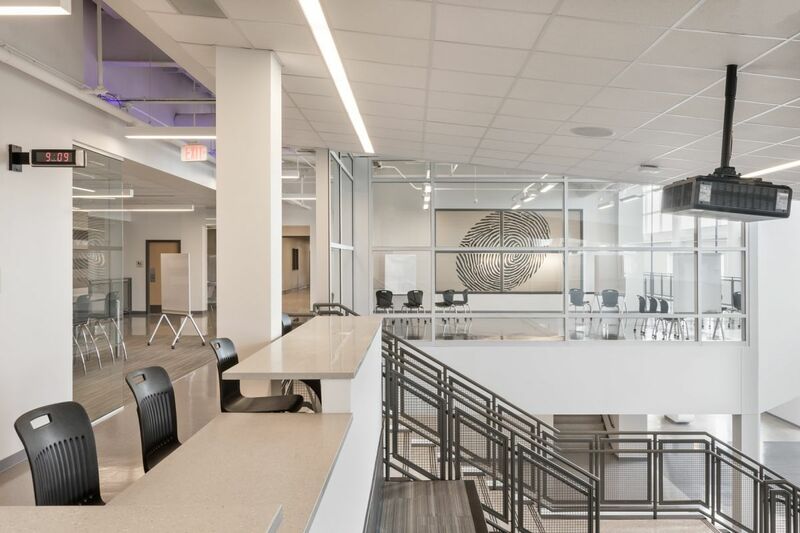 PlanSCAPE professionals helped KCAL create a flexible environment with six individual learning zones for collaborative group work. 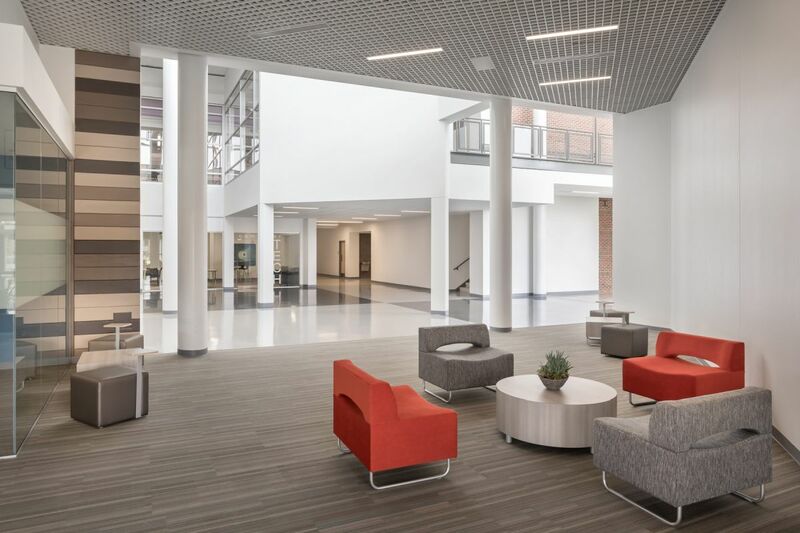 Since the furniture in each zone can be arranged and rearranged into larger or smaller groupings, Virco’s solution created a space that facilitates fluctuating activities at a moment’s notice. The Group and Collaborative Meeting Spaces maintain KCAL’s color theme with Analogy 30” Civitas Stools in Black and Plateau Stand-Up Height Tables with Iconic Maple laminate. Dry erase boards on casters can be easily moved around the rooms to keep everyone involved and informed. 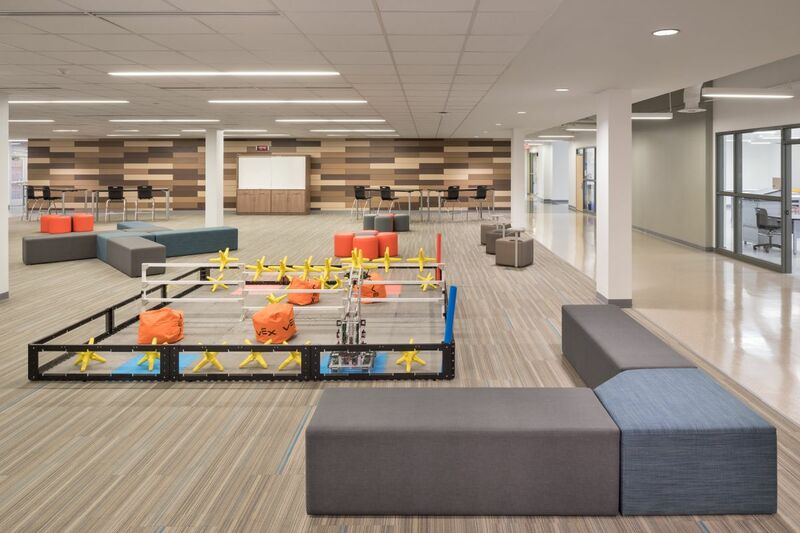 The soft seating in the STEM Area compliments the school’s overall aesthetics and gives students a comfortable place to collaborate and create. 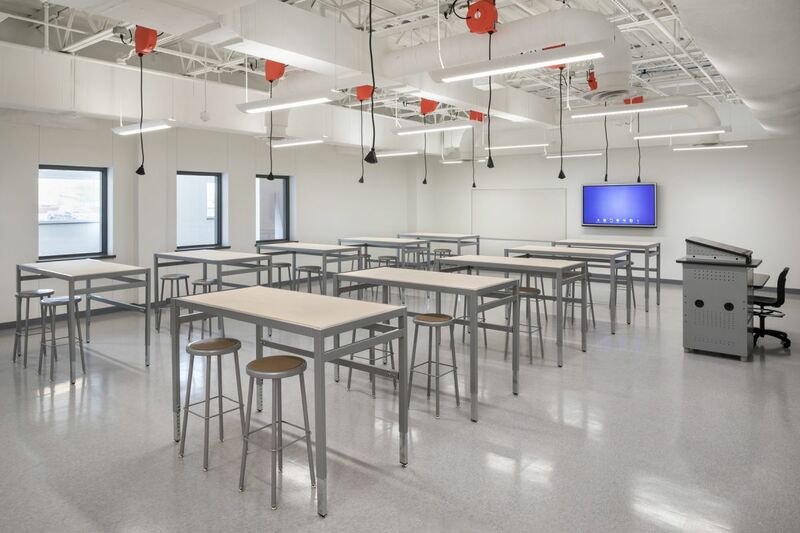 Makerspace Tables and 122 Series Stools facilitate hands-on learning and collaboration in the Makerspace classrooms. 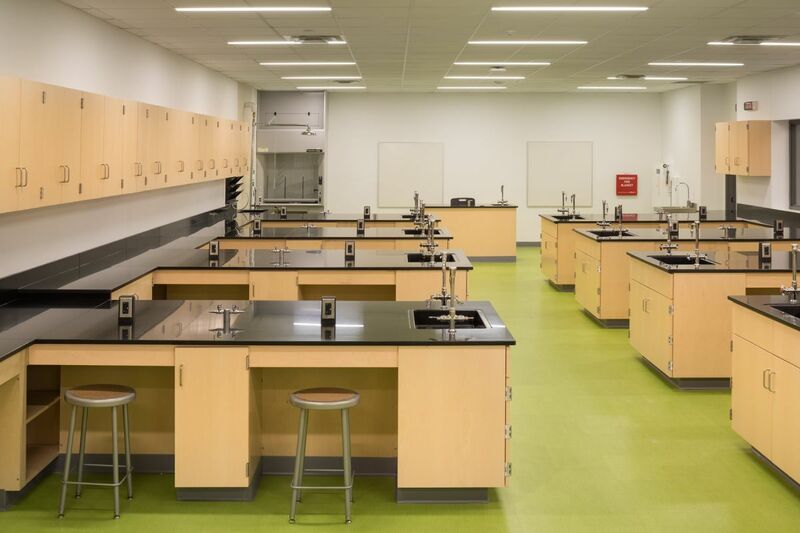 KCAL’s Career Focused Classrooms utilize Analogy Chairs and 122 Series Stools to create specialized spaces for the study of Health and Sciences. 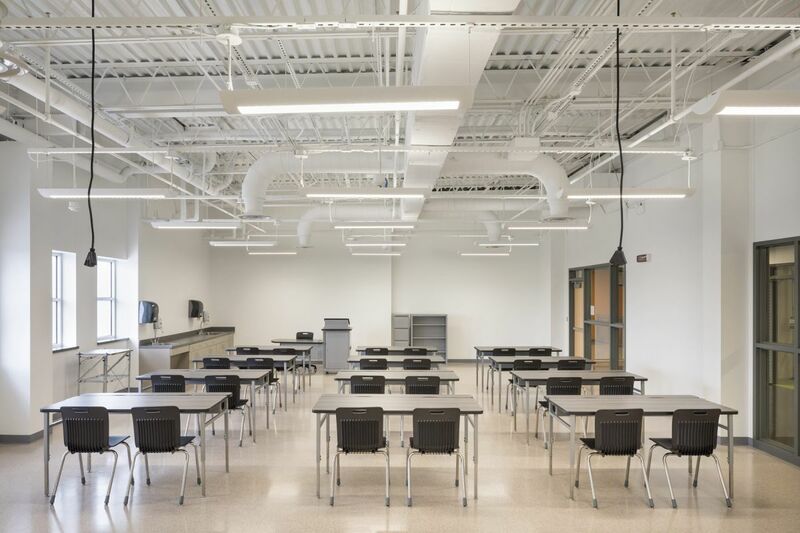 With Analogy Chairs, Instructor Media Towers and Tetra Tables, KCAL’s General Purpose Classrooms provide more traditional learning spaces. “We are very pleased with the furniture that we purchased. 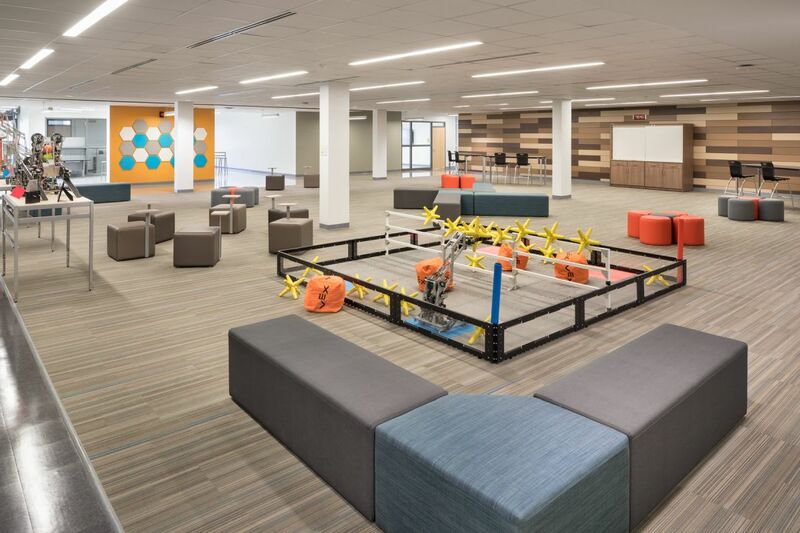 We especially like the furniture in our collaborative spaces. 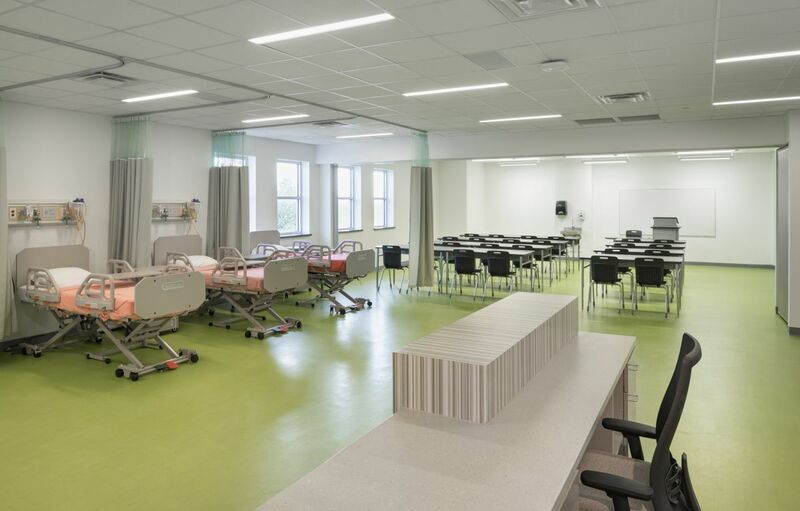 Using Virco’s team was very helpful because they were able to give important color suggestions, space suggestions, alternative options and many other pieces of valuable information that helped us make the right choices for our specialized spaces. 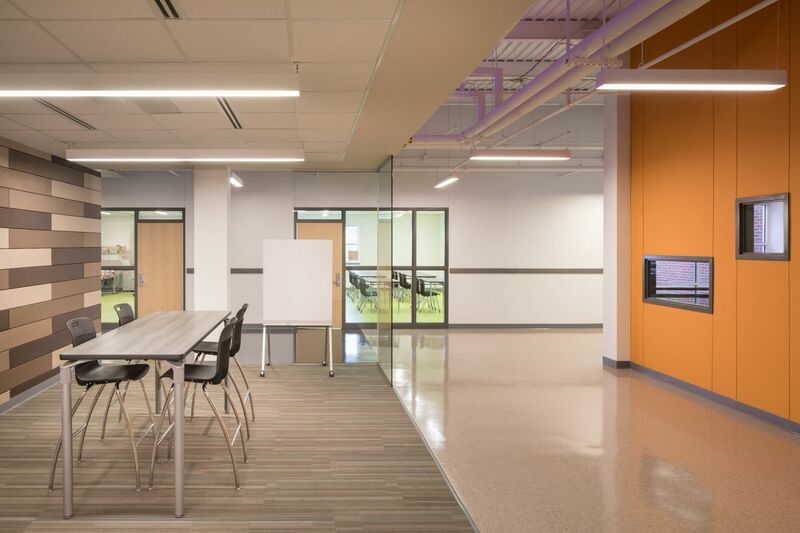 We were trying to create open, collaborative spaces wherever possible and Virco’s team was very helpful in making that happen. Meeting with the team was a wonderful experience. The team was more than professional, friendly and helpful. They met with us frequently and kept in contact throughout the project. 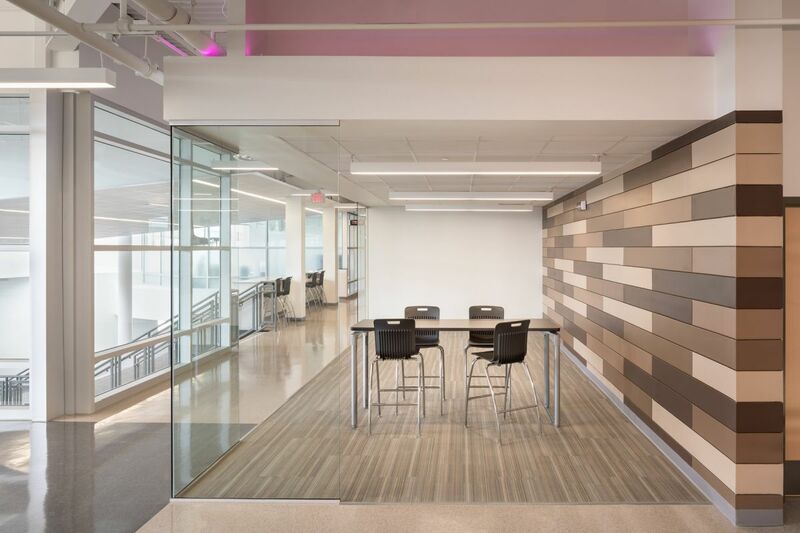 The team understood how important the furniture in the building was to making the spaces unique and interesting.